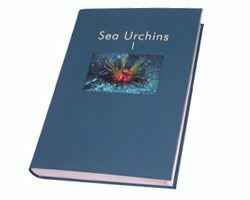 Sea Urchins Book One is the first in a series of books collecting the comic-strip adventures of Olie and Ali Unrun, their children: Cuss, Sherfew, Ella, and Darla. Think Popeye meets Katzenjammer Kids, meets Little Rascals, with a dash of modernity. Olie Unrun always wanted to live a life at sea. Instead, he worked at his dad's fish-oil factory and began the life of a family man. One day, something in Olie snapped and he built a ship in his yard... then he relocated his house to the deck of that ship and christened the whole shebang "The Banana Moon." All Olie had to do was wait for the right storm to lift his house to the sea. Now adrift, the Unruns piece together each day through a host of uncommon creatures and comic calamities.